This is a practical Agile Project Management workshop, which focuses on equipping participants with accessible, adaptable Agile skills. The aim of the workshop is that each participant will leave feeling confident in their ability to apply the techniques to projects in your working environment. We offer this course for in-company bookings, where we deliver training to your team at a date and venue chosen by you. We also offer a public Agile Certified Course with dates available throughout the year. What are the Benefits of this Agile Certified Course? Our Agile Project Management course is designed to give you skills to be an effective project manager. Agile is fast becoming one of the most popular project management methodologies available. The skills you gain during this course will add weight and credibility to your competence as a project manager. Agile methods applied correctly will always yield higher productivity, which in turn leads to better profitability. We provide several options for international certification, depending on your team’s experience with agile. We will be delighted advise on this during the planning stage for your workshop. 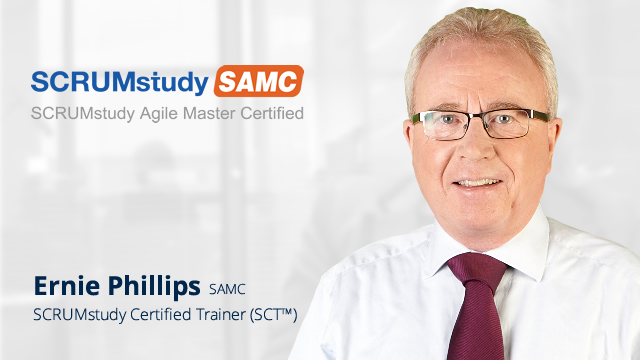 The course content below is an excerpt from the complete Agile Master Certified (SAMCTM) outline. You can read the full course outline and learn more about achieving your certification by downloading our course brochure. 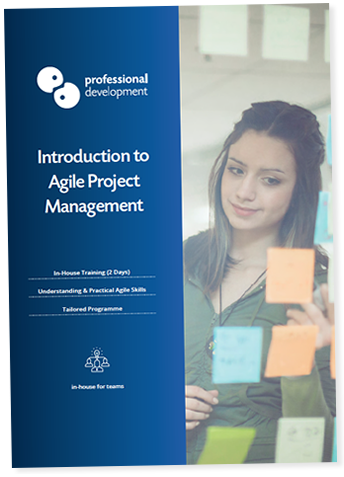 Although this Introduction to Agile Project Management Workshop is exclusively available for in-company bookings, we have 2 different agile training options for individuals who want to attend a public training course. You can learn more about each of the options below by clicking on the button under the course description. This 3-day course is a blend of practical agile learning, and theoretical exam preparation. It's ideal for anyone seeking an international certification, who lacks experience in agile project management. Scrum is the most widely adopted form of Agile, and certified Scrum Masters are in demand on a global scale. This 2-day workshop includes exam preparation and international certification. Can Agile methods be used for non-IT projects? Yes. Agile originated in the IT and software development sectors. However, agile soon grew in popularity throughout all industries as a way to efficiently manage projects with potentially changing requirements. Scrum is a form of Agile. Other forms include Crystal, FDD, XP and DSDM. We cover many of these forms of Agile during our course. Do I need to achieve certification in Agile? Certification is a great advantage for agile project managers, but not essential. Our course format was developed in response to a demand for non-certified and certified agile training options. We'll be happy to answer your questions by phone or email. You can click to ask a question below, download a course brochure, or call us on Freephone 1800 910 810.